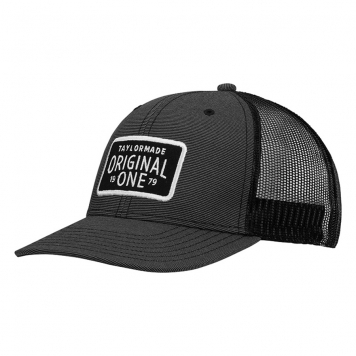 The Original One Lifestyle Trucker Hat pays tribute to TaylorMade’s legacy by incorporating the classic TaylorMade logo from the original metal driver created in 1979. The “Original One” signified a shift in golf performance that paved the way to where the game is today. The new TaylorMade Original One Trucker Snapback is a great addition for your game and your lifestyle.